DSC_0117_A, originally uploaded by Jessa B.C.. 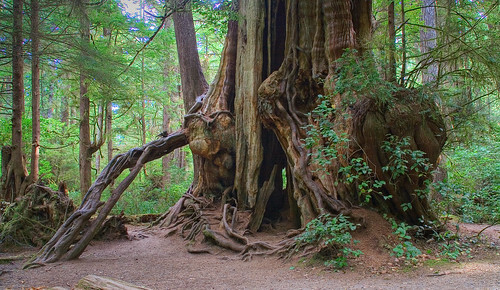 This very large gnarly, old Western Red Cedar is located near kalaloch, Washington in the Olympic National Forest. 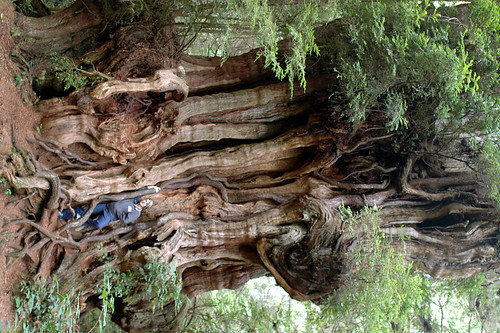 The tree is impresive both for its great size and for the "Ent" like look of its twisted and gnarled trunk. This tree is known as the Kalaloch Cedar. 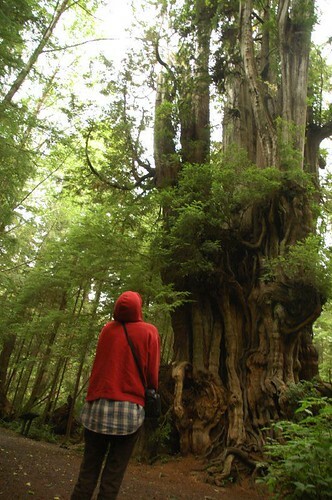 The Kalaloch Cedar, originally uploaded by rachel_thecat. Big Cedar Tree, originally uploaded by vagrantant. nice pic, I did a painting of the tree a few years back.